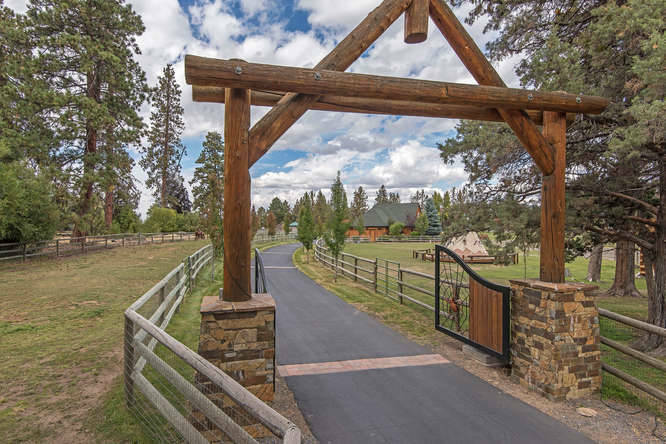 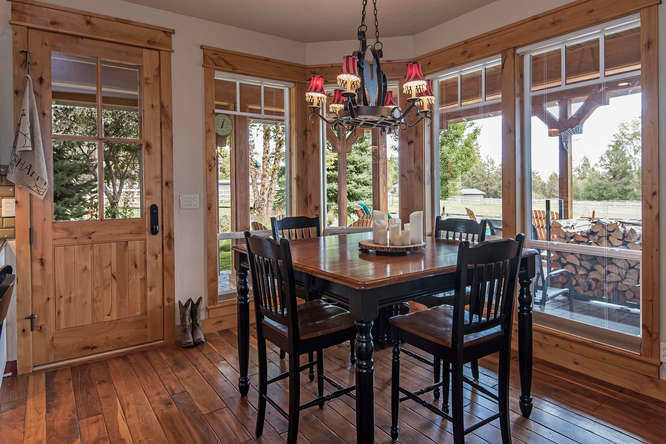 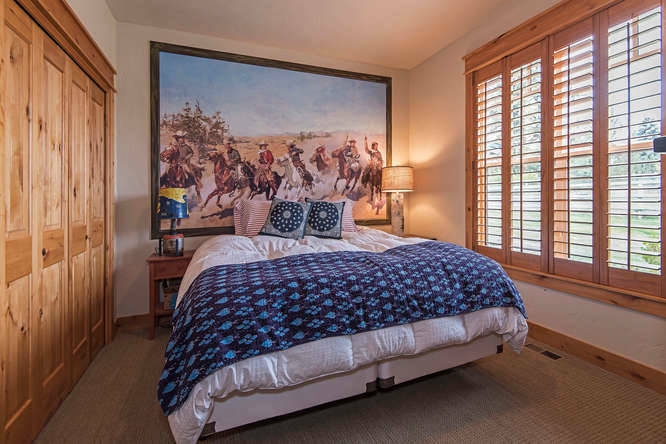 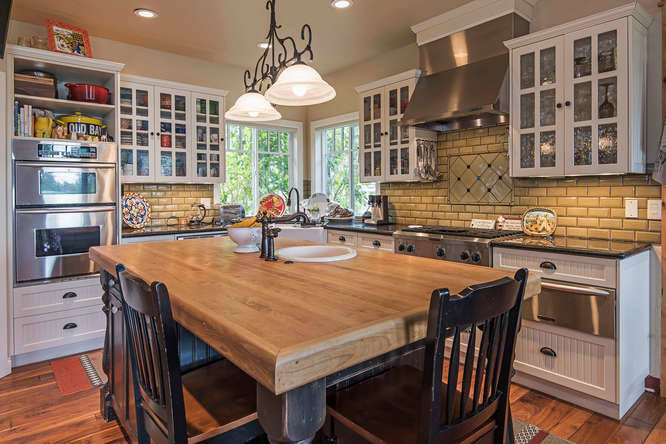 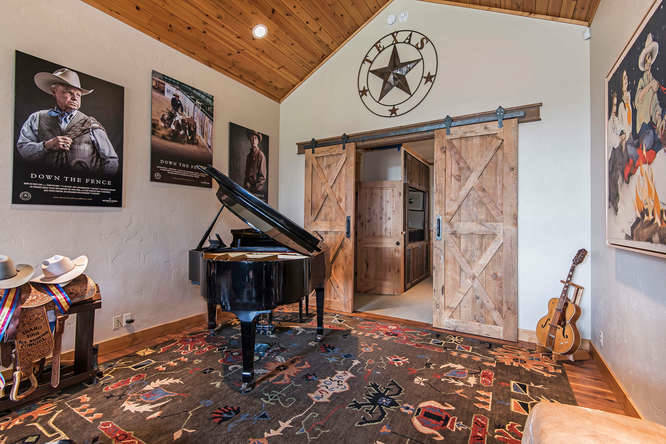 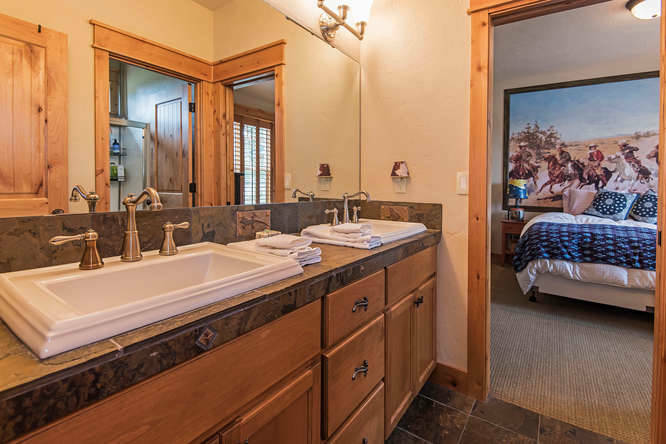 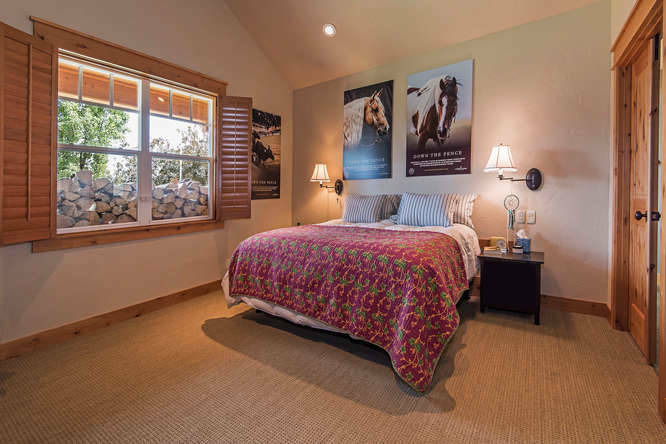 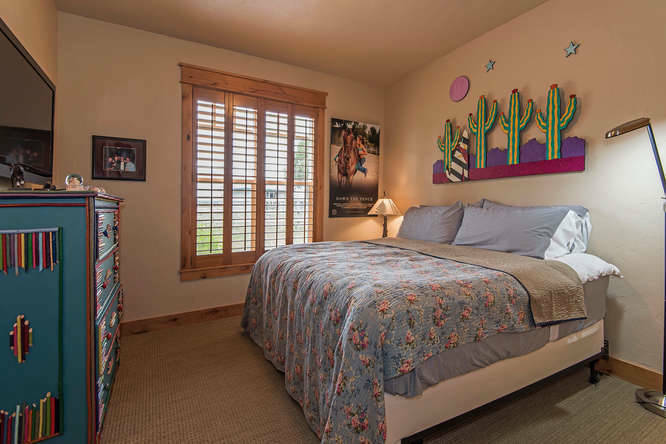 This pristine horse property and home has been lovingly cared for and well-thought out. 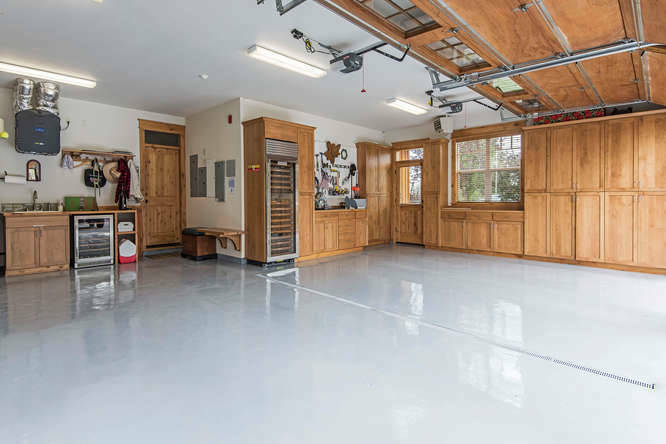 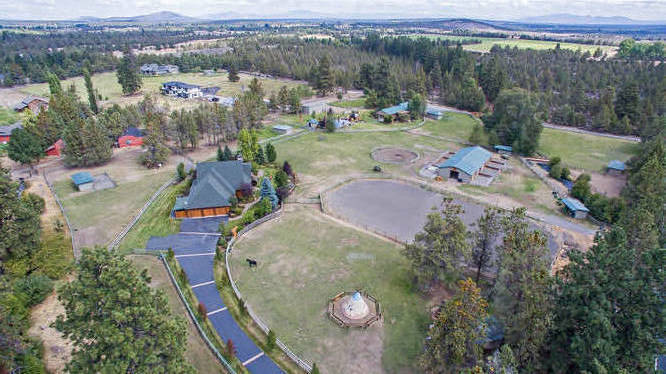 Incredible working ranch with 8.3 acres including 6.5 acres of irrigation where no detail has been over-looked. 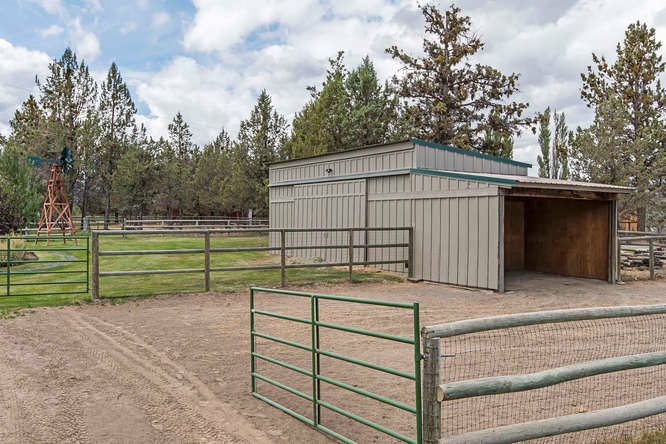 The entire property is fenced and cross-fenced to support the maximum number of horses desired. 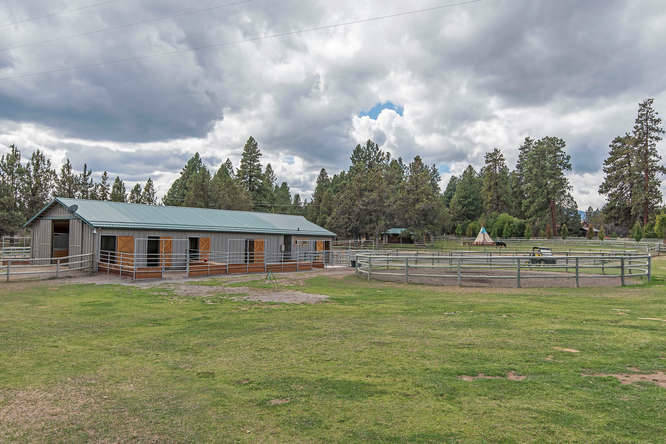 Property includes multiple pastures, loafing sheds and barns to allow many equestrian opportunities. 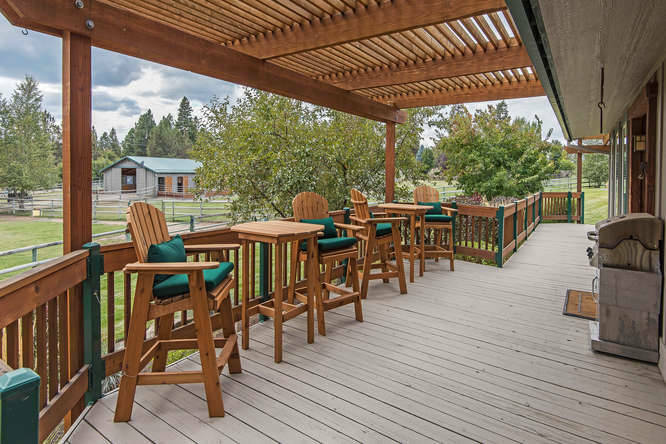 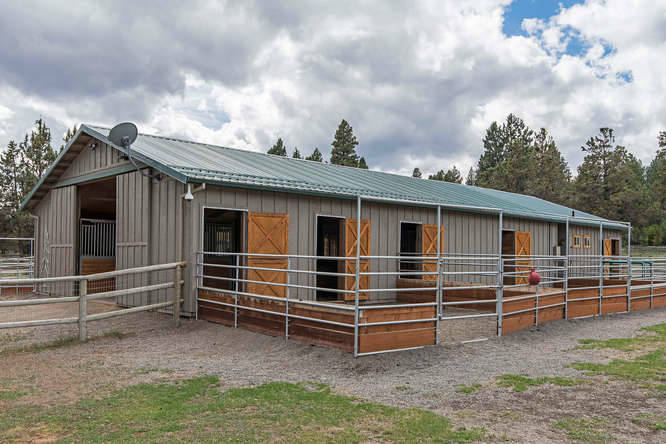 The riding arena and round pen are excellent for riding and training with an exquisite Central Oregon backdrop. 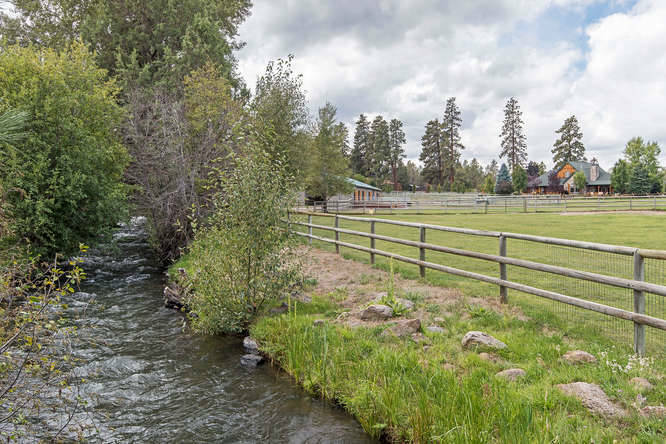 The property sits within a quarter mile of government land for extensive trail riding. 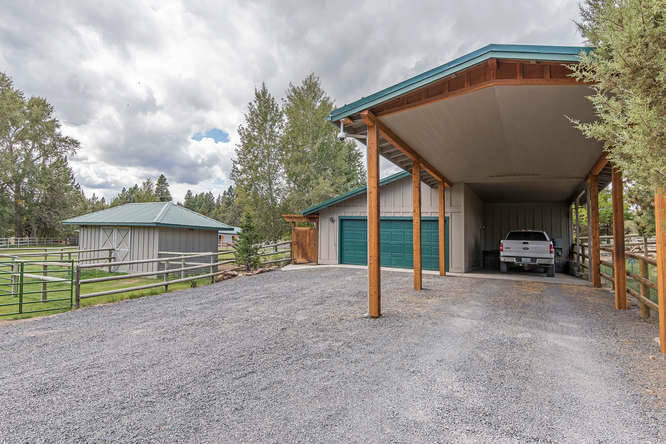 PROFITABLE AGRICULTURE BUSINESS AND HOME ON ACREAGE! 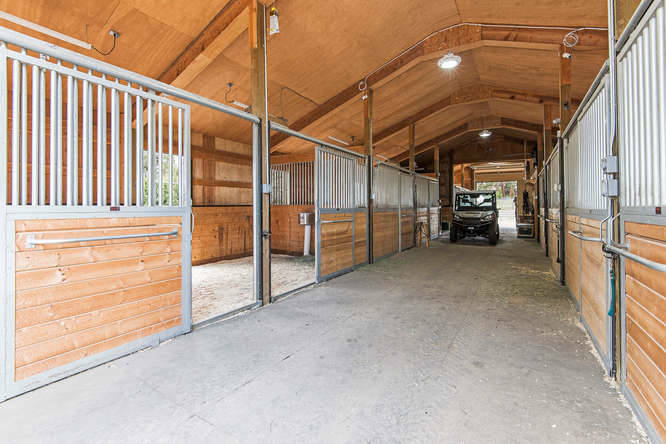 GENTLEMAN'S FARM ON 60 ACRES WITH UPSCALE HOME, 2 ARENAS, BARN AND A 2ND HOME. 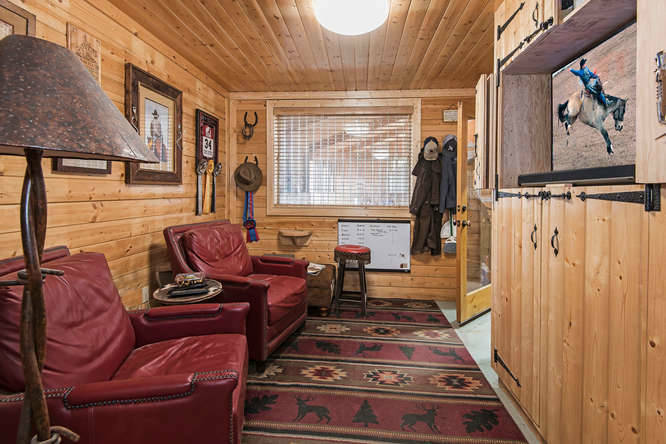 PEACEFUL HORSE PROPERTY WITH FABULOUS "TREE HOUSE" LIKE HOME SETTING. 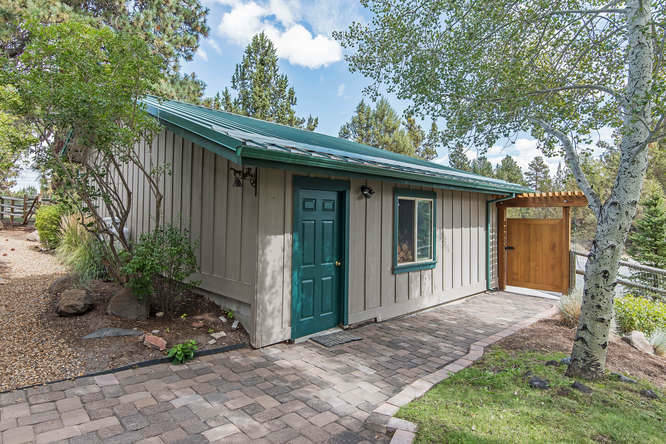 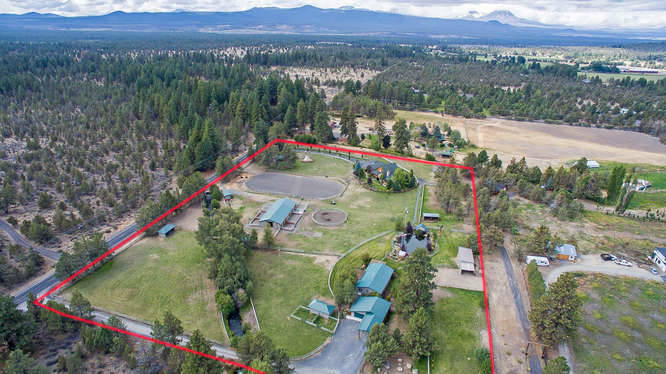 RARE CLOSE-IN ACREAGE IN SECLUDED SETTING IN CENTRAL OREGON! 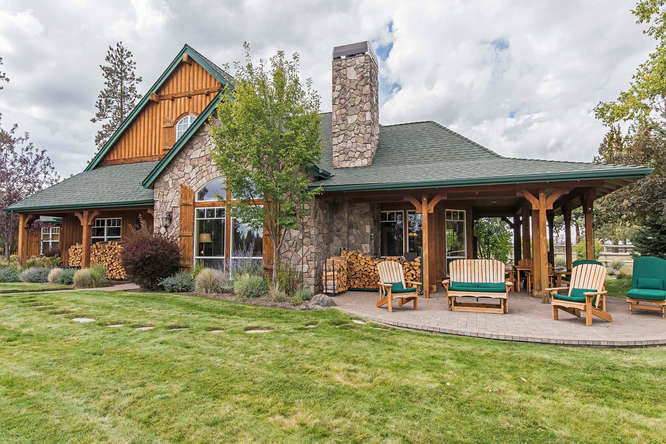 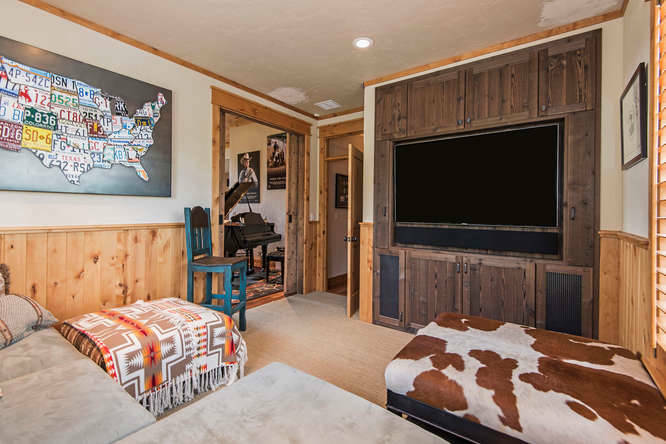 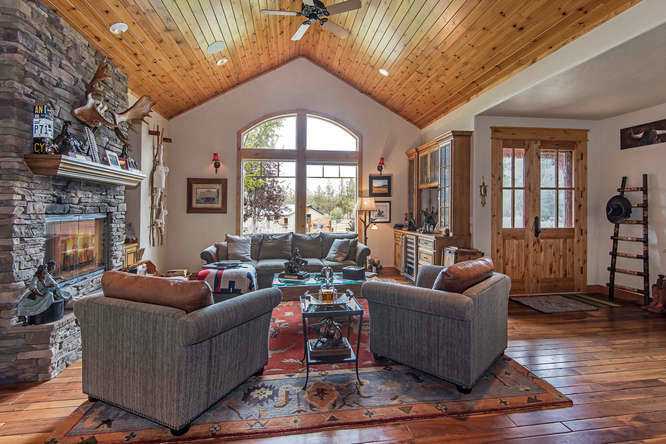 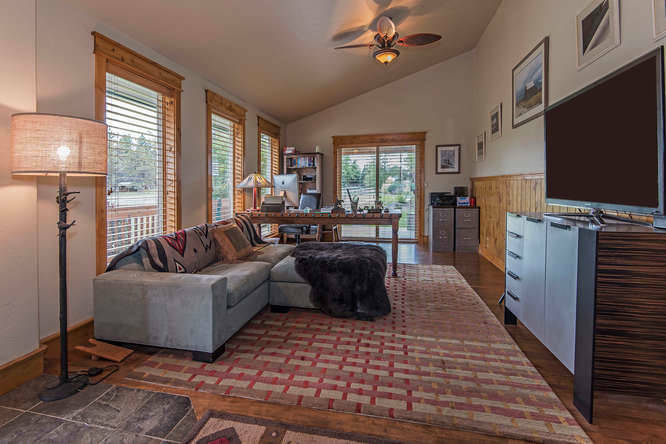 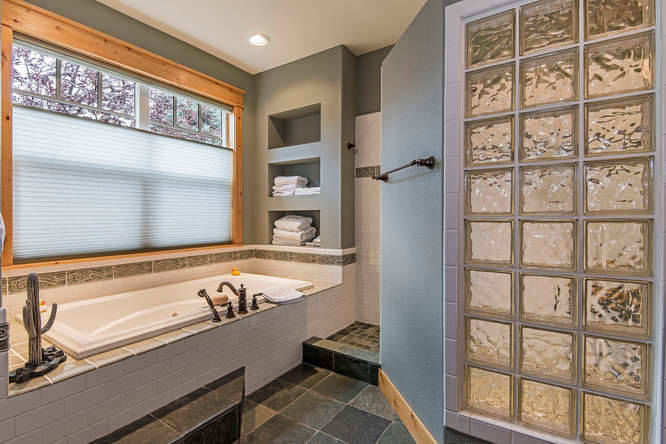 CUSTOM HOME WITH GUEST APARTMENT ON 9.58 ACRES WITH CASCADE MOUNTAIN VIEWS!